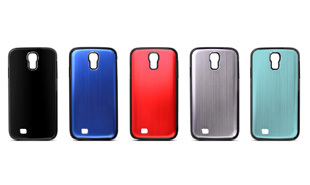 Jul 11, 2013, Taipei, Taiwan –FZtech is pleased to announce the latest collection of the iMetal Series – Premium Bumper Case for Samsung Galaxy S4, coded FZT-M4. The protective metal bumper case is lightweight and portable, offering premium protection for Galaxy S4 against impacts and scratches. FZT-M4 is made of high quality aluminum with anodized finish and uses plastic insert molding to enhance the appearance, making it sleek metal surface and stylish design. It has 5 color choices: black, navy, red, gray and skyblue in addition to each ABS black color and creates a two-tone color design. FZT-M4 weighs only 28.5g, FZtech uses plastic material in the metal bumper design to make it lightweight and durable. It has open access for all ports, controls and cameras. 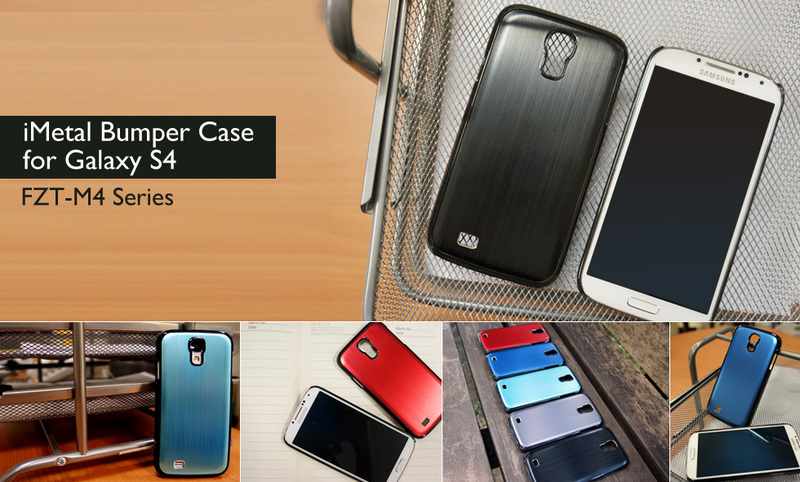 It also covers Galaxy S4 perfectly and tightly in the back and edges, offering comprehensive protection for Galaxy S4. The key features of iMetal Series are high quality aluminum materials, lightweight and portable everywhere. FZtech says “We are excited to announce the premium bumper for Samsung Galaxy S4, and hope to make it available to all users.” iMetal Series will soon be available in Taiwan, Singapore and Thailand. FZtech welcomes global distributors, retailers and wholesalers to bring the products worldwide. For more information please visit FZtech online.